A purpose built awning can make a huge difference to your home, offering shade and heat control in the summer months, especially for rooms or aspects that are in the sun all day. Awnings can be manual or motorised, with automatic settings to deploy under specific conditions, when the sun gets hot, and retracting at night, and even when it becomes too windy for the awning to be safely out. Direct sunlight can have a massive effect on the temperature within your home, even with a well insulated, double glazed home and creating shade to keep the direct heat off will stabilize temperatures and create a nicer environment to live in. With a massive variety of hard wearing, long lasting fabrics and materials to choose from, an awning will provide patio shade as well as temperature control for rooms facing the sun. Patio areas are often sun traps and many people don’t like sitting in direct sunlight, especially for long periods. 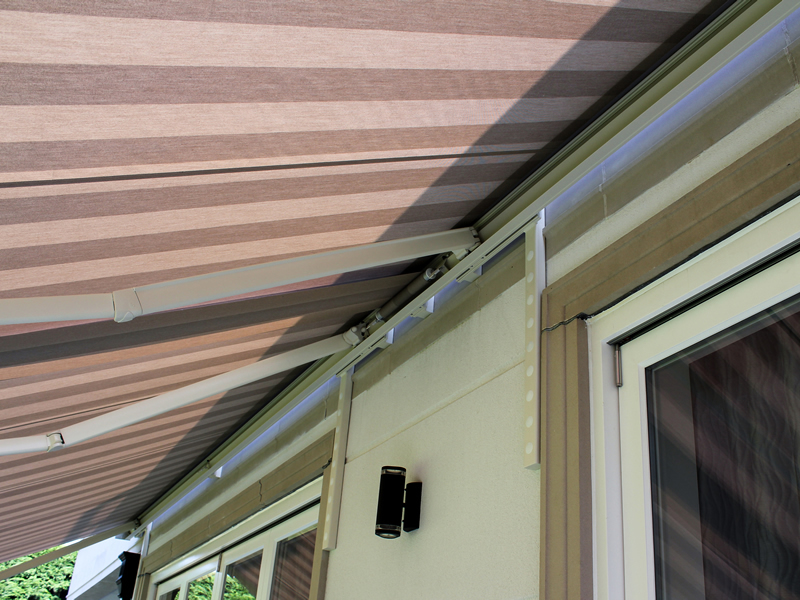 With a motorised awning, you have control over patio shading and can adjust the shade to suit according to your needs. Modern awnings are compact and stylish, folding away into small, discreet cassettes that can be coloured to suit your decor.